Land Sales & Ownership Trends ? The talking heads like to show how land and rent prices are rational over the long term. For example - - they like to compare the interest rate on 10 year T bills to the rental rate return on prime farm land. I am not in a prime crop ground area but our land prices are slowly increasing while farm income is falling. There seems to be two main groups of buyers - - multi generational farm operations who write a check using prior earnings, and kids who go big by using government subsidized beginning farmer loans. Either way, there tends to be a consolidation of land holdings to a small number of families. Do you see this in your area, and is there any end to it? Re: Land Sales & Ownership Trends ? Yes I see it around here, and I don't see the trend stopping. Around here the more you have the more subsidies you get. Anyone that had family land, a little common sense, stayed married and didn't get hooked on drinking or drugs has done good. i only see next generation kids helping out daddy..
never see a new operator thats young. here, housing is driving land prices. 12k/ac for home lots if you buy "bulk" 8-10 ac lots.. 1/2 ac - 2 ac lots listed and selling for 30 - 50k all day. farm near me is for sale. i am scared it will be subdivided soon if someone doesn't buy it to farm. its 7k/ac, 110 acres, and lots of road frontage. I'd buy it if I could as its very level, very good ground. Yes, divorce can cause forced sales depending on how the ownership is structured. One family here does a bit of wife swapping to hang onto all the assets. We are seeing a lot of "retirement auctions" here, some forced by the bank, but these are usually the smaller operations, not the land buyers. I don't think the land and machinery markets would hold up if some big operations were forced out. They are usually 3X to 5X the "medium" sized farms and support two families. So just like business corporations -- the big get bigger because they can, and they believe in benefits from scale? if you have less than 500 acres here and call up an ag place, they will literally laugh at you and tell you to call a landscaper. We used to have a lot of family dairies with 240 to 320 acres, but they have been exiting fast. ddd75 wrote: i only see next generation kids helping out daddy.. I believe based on your figures I’d buy it at $7k/acre and subdivide it myself if I could get $30-50k per 1/2-2 acre lot. Then I’d buy me a plantation somewhere. well.. it has crossed my mind.. bank would probably do it with everything selling like it is. Yes, divorce can cause forced sales depending on how the ownership is structured. One family here does a bit of wife swapping to hang onto all the be nice...ets. I have noticed a disconnect in North Central Texas between rural land prices and rent/acre. Let me give an example to show where I'm coming from. If I buy a house in the city and rent it, the rent will pay of the house mortgage, taxes, and insurance plus a little extra for profit. Rural land, on the other hand, at least in my area, is not following this relationship. If I rent my farm land, I can expect to get about $20/Acre/Year, that's right, per year. At the current land prices, roughly $3000 per pasture acre, the rent rate barely pays 1 month's note. So something is out of whack. Either rural land is overpriced or rent is undervalued. I suspect part of the disparity has to do with government subsidies that forbid the market to adjust the land or rent price to it's real value. In the last two years I have seen the value of land double in my area. I used to plug a search in Land of Texas around $1400 to $1800 per acre and several properties in the 60 to 100 acre range would pop-up. Today, that's hardly the case. Evey thing is selling for $3000 to $3500/acre, and there ain't much at that price. Maybe it's a bubble. Theory that land rent is a percentage of land value fails badly when commodity producers lose money for several years. Theory that there is an economic basis for land value also fails when most buyers are looking for a lifestyle. The more popular corn, beans, and Cancun rotation is struggling. The place we are seeing a lot of change is in the value of hunting land. It is dropping as deer hunters age and local property taxes increase significantly. 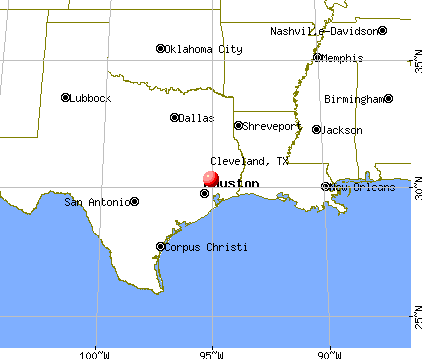 libertygarden wrote: I have noticed a disconnect in North Central Texas between rural land prices and rent/acre. Let me give an example to show where I'm coming from. If I buy a house in the city and rent it, the rent will pay of the house mortgage, taxes, and insurance plus a little extra for profit. It's always been that way here in Tx. Land rich and too many that are $$ poor. Too many with land available and not enough without. I'll take it like it is now tho. Also too easy to find property to rent for fence upkeep in leiu of rent around here. Greybeard, what part of TX are you in? About 45 miles North of Houston. Maybe I can get someone in my area to lease me their land for fence upkeep. I'm in Delta county.